The workspace was quite large…which was good since there were almost a dozen of us taking the class. First step? Staple the mesh to the frame. There was a very specific way to accomplish this, starting with a specific corner, folding the edges a certain way…it had to be as taut as a drum head to work properly. Stapling that much with a gun, plus holding the mesh tightly was quite an arm workout, but I got ‘er done! Me 'n my drumhead mesh! Luckily, ALL the instructions, along with diagrams and details are in the handy-dandy booklet they gave us! It’s an awesome collection of tips, advice and directions. A definite MUST for all of us at the workshop as there was so much to remember! 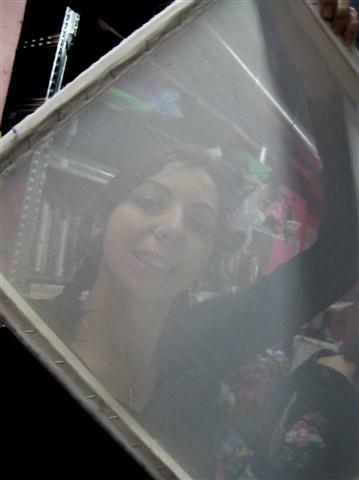 Next was the emulsion process; coating the mesh with a light-sensitive chemical that would harden after being exposed. Then we had to leave the screen to dry in the dark…for approximately an hour or so. I spent a good part of this time shopping in the store! So dangerous! 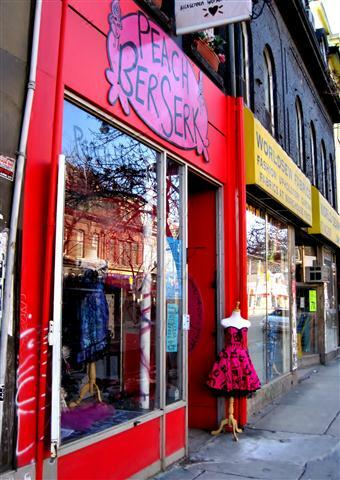 I love sale racks and they had a great one! I took all my self-control to turn away! 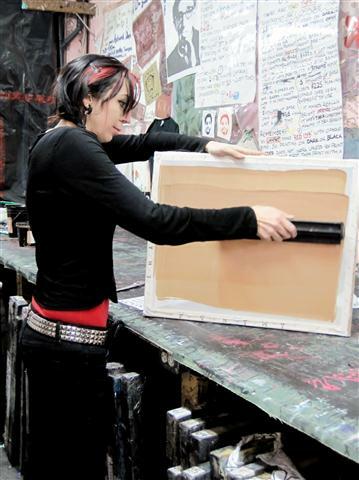 Once our screens were dry, it was time to prepare the pictures we wanted to print. Each student used a variety of methods to block out their patterns/pictures. I used some laser printed shots, as well as actual pieces of material and lace. I created a number of images, but two that I want to point out are actual pictures of me from a photo shoot I did for my cooking blog, Edible Noir. 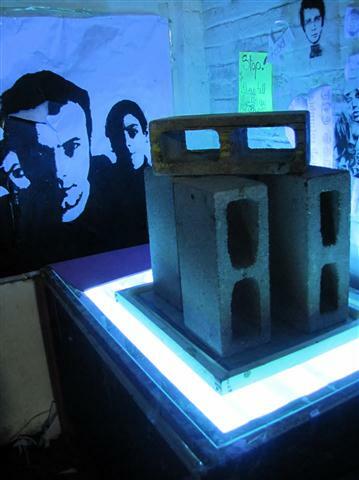 To the left and right here, you can see the images I created on my screen. 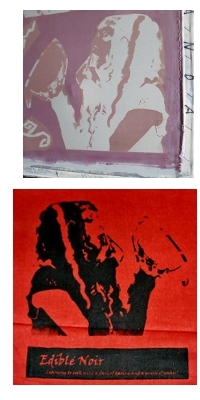 The purple and white images are post-rinse and the red images are my silkscreens printed on red velvet. For interests sake, the original picture of the lipstick and bowl shot to the left can be seen HERE. The shot to the right, of me standing and looking somewhat shocked can be seen HERE. The workshop was a blast! When we arrived, they said it would run from 11am until approximately 8pm but that we were welcome to stay as late as 10pm if we wanted. 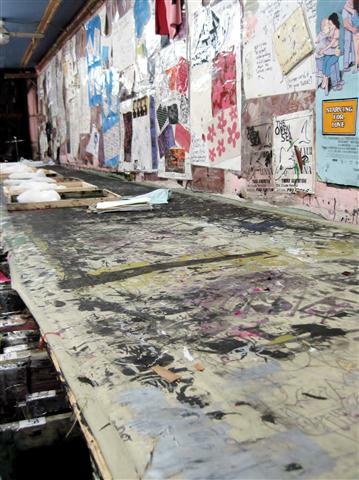 I remember thinking, “12 hours to silkscreen? 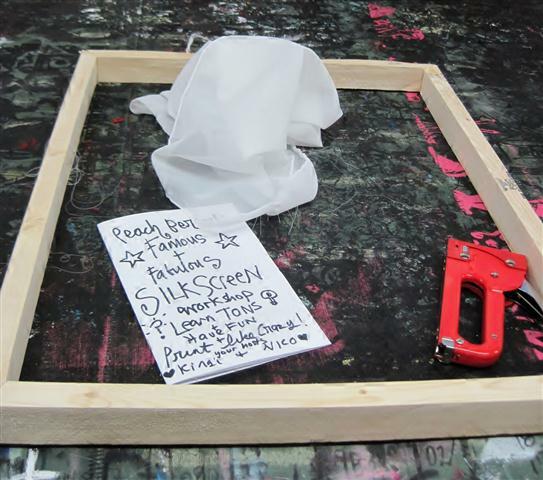 ?” Due to the screen making process, and the wait time for them to dry (yes, THEM….we made two screens! :D)…it *did* take most of the day, but the time flew! 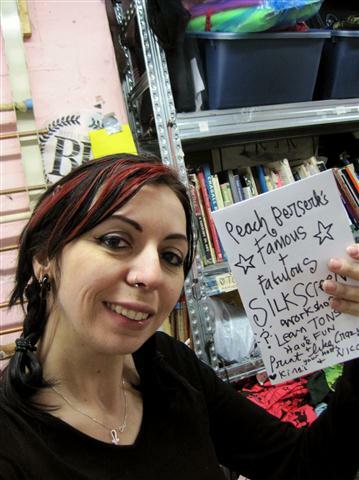 I would highly recommend this workshop to anyone remotely interested in silkscreening! 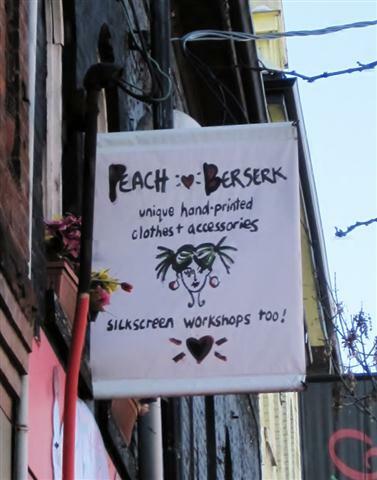 The added bonus is that, if you wish to continue silkscreening, you can buy everything you need from the store itself, PLUS you can book their workspace on an hourly basis and make your screens on site pretty much whenever you wish!